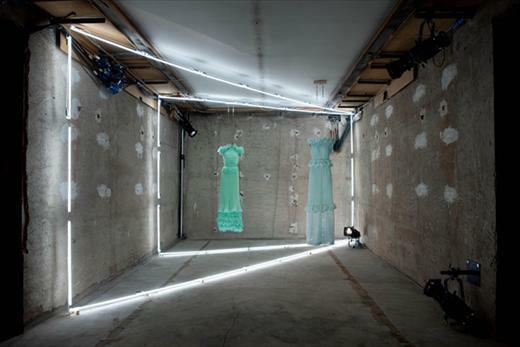 Rodarte couture collection at Pitti, would have loved to have seen these up close. 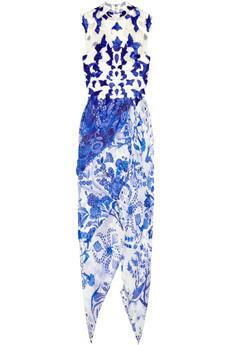 Embroidered tulle and printed silk-chiffon dress, inspired by Ming porcelain….anyone? 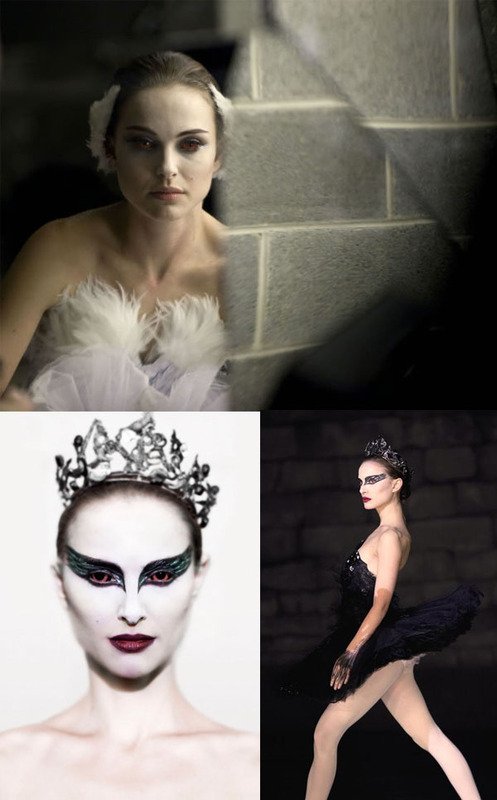 ‘Black Swan’ that’s coming out later this year. Natalie Portman takes on the role of a ballet dancer, vying for the lead role in a production of Swan Lake that leads to personal physiological turmoil in a way that only Aronofsky perfects. 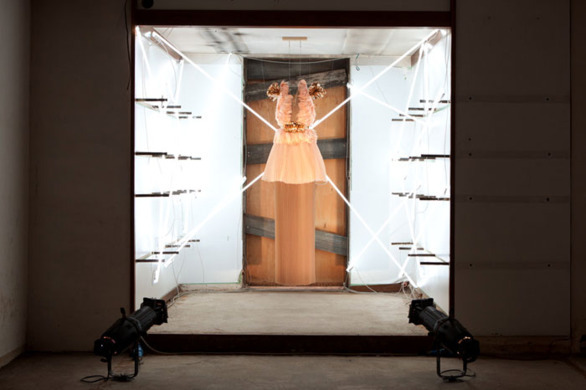 And, if that’s not enough to tempt you, Aronofsky has commissioned Rodarte sisters Kate and Laura Mulleavy to design the costumes creating one of the most exciting cinematic collaborations that I’ve heard of. Ever. 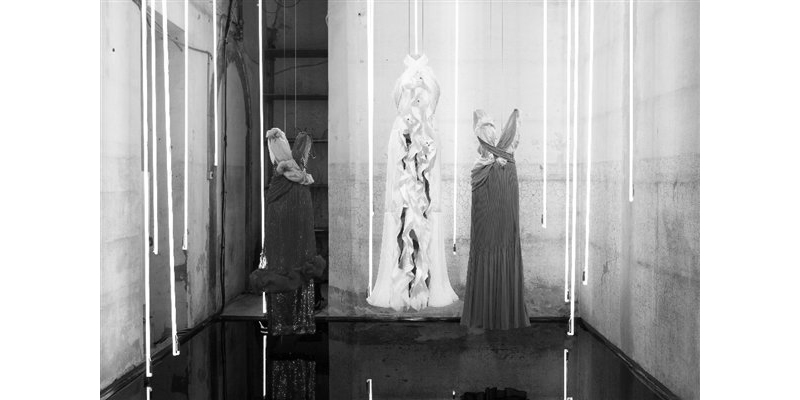 Perhaps the director had taken inspiration from the evolving seasonal collections from the duo; with their SS’10 gowns in oily black feathers transforming to the purest white for AW’10. 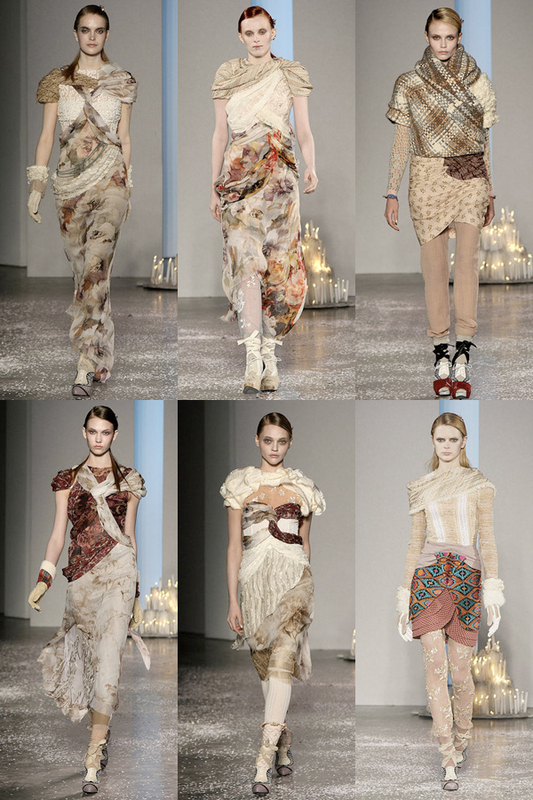 Rodarte – Rodarte – Rodarte! It’s on. You may have already seen it but here it is again – because we all deserve more, more, more!!! been following these sisters for years…was platforming & desperately trying to channel their incredible layer-piece-knit-werx back in fashion school ’05. Their work is impeccable, unique, interesting and cutting edge. 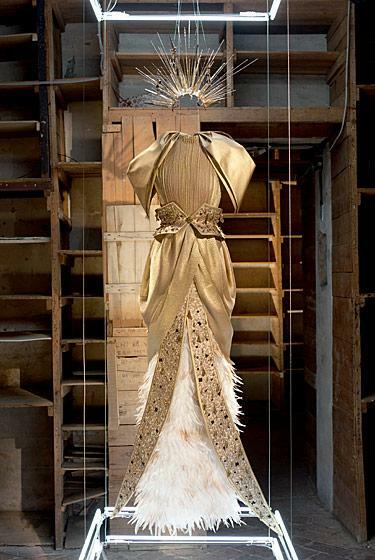 Rodarte on my tombstone please.